Tottenham exited the Europa League after an error-strewn 2-0 defeat by Fiorentina gave the Italian side a 3-1 aggregate win. 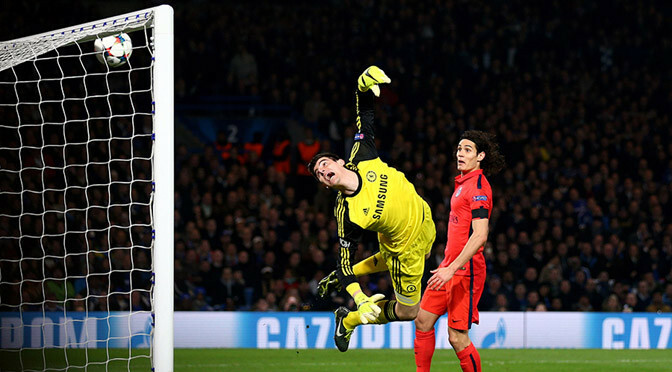 Mario Gomez raced clear after a second-half mistake by Federico Fazio and slid the ball under Hugo Lloris. Chelsea loanee Mohamed Salah sealed the win after a blunder by Jan Vertonghen. Spurs needed to score in Florence, but were unable to make a breakthrough, with striker Roberto Soldado wasting a golden first-half opportunity. The Spanish striker was played clean through by Erik Lamela’s swept pass after Spurs broke quickly from a corner, but he scuffed his attempt to square the ball to Nacer Chadli and keeper Neto gathered. The result is a blow for Spurs before their biggest game of the season so far – the League Cup final against Chelsea on Sunday. 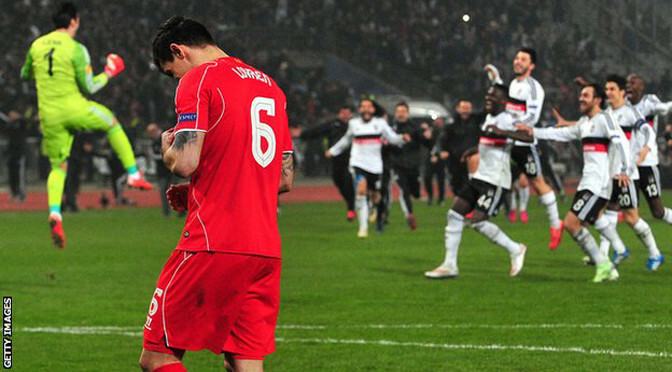 Liverpool lost their first European penalty shootout as Besiktas knocked them out of the Europa League. Centre-back Dejan Lovren missed the crucial spot-kick after Tolgay Arslan’s 20-yard curler forced extra-time in the round of 32 second leg. Daniel Sturridge’s shot was beaten out by Cenk Gonen as Liverpool failed to make their first-half superiority tell. Besiktas were the better side after that, and almost sealed the tie in 90 minutes as Demba Ba hit the crossbar. Slaven Bilic’s side deserved to go through after recovering from a dreadful opening 45 minutes to dominate the game, meaning that Liverpool are left with the FA Cup as their last realistic hope of a trophy this season. Liverpool were missing a number of injured key players – including captain Steven Gerrard, vice-captain Jordan Henderson, centre-back Mamadou Sakho and playmaker Philippe Coutinho. Juventus had to settle for a narrow first-leg lead after missing a several good chances against Borussia Dortmund in their Champions League last-16 tie. Carlos Tevez put the Italians ahead after Roman Weidenfeller spilled at his feet, but Dortmund soon struck back. Marco Reus exploited Giorgio Chiellini’s slip to scamper in and shoot home just three minutes later. 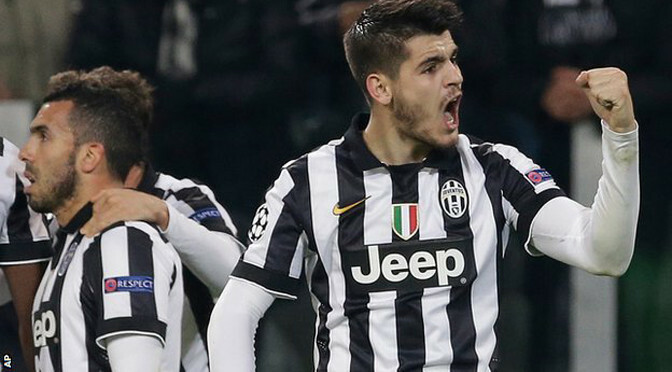 Alvaro Morata’s careful finish put Juve back in front and the hosts could have stretched away in the second half. After the break, Tevez went close on three occasions, Chiellini rose unmarked to head over the top and Roberto Pereyra shot just wide. But the Italians ultimately failed to exploit Dortmund’s fragility and will take only a one-goal advantage to Germany. The win took the Serie A champions’ unbeaten home run to 47 games and they made the fast start that a simmering atmosphere at the Juventus Stadium demanded. With defenders back in numbers there appeared little danger for Dortmund despite Morata escaping the attentions of his man on the left. But the Spaniard’s well-hit shot and Dortmund goalkeeper Weidenfeller’s fumble presented Tevez with a simple finish five yards out. A woeful run of domestic form left them bottom of the Bundesliga at the start of 2015 but Dortmund have kept faith with a pressing game and their energy soon delivered parity. Chiellini lost his footing as he attempted to control a routine ball forward and Reus, who has recently agreed a contract extension with the Germans, raced in on goal and coolly beat Gianluigi Buffon. The visitors enjoyed more of the possession for the rest of the half but never looked secure at the back. Leonardo Bonucci headed over from a good position for Juventus, and Dortmund were caught out again by a swift counter-attack just before the break as Morata was left free to side-foot home from six yards. Dortmund continued to be undermined as Weidenfeller and his defence wobbled through to the end of the tie but, with an away goal secured, they will hope the Westfalenstadion can inspire them to the quarter-finals. 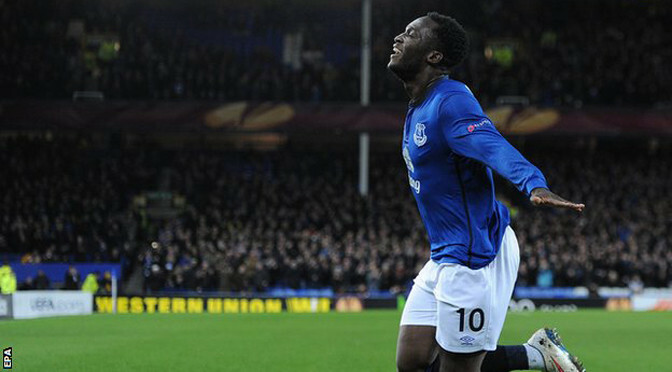 Romelu Lukaku responded to recent fan criticism with a first Everton hat-trick in a fine Europa League round of 32 first-leg win over Young Boys. The striker angered supporters earlier this month by telling a newspaper that he hoped to leave for a “top club”. He struck with a header, a right-foot shot and a left-foot shot after Young Boys scored through Guillaume Hoarau. Seamus Coleman scored Everton’s second, while Hoarau missed a second-half penalty after John Stones was sent off. Since making a permanent £28m move to Everton from Chelsea in July, Lukaku has struggled to reach the levels of form he showed during a loan spell at Goodison Park last season. But he had a prolific evening against a Young Boys side who struggled with their offside trap all evening, and could have had at least two more goals after completing his hat-trick. Uli Forte’s side could point to the fact that two of Everton’s three first-half goals looked to be offside. But Everton deserve immense credit for adapting so well to the synthetic surface at the Stade de Suisse, having spent time in the build-up to the match training on the artificial pitch of rugby league side Widnes Vikings. They had to come back from a goal down as Young Boys, who had won their previous seven European games, scored with their first shot on target amid poor defending. Raphael Nuzzolo broke down the left and played a square pass to former Paris St-Germain striker Hoarau, who was not closed down by Phil Jagielka and curled a right-foot shot beyond keeper Tim Howard from 25 yards. Home keeper Yvon Mvogo made a fine double save to stop Lukaku’s shot on the turn and Ross Barkley’s follow-up, but perhaps should have kept out Everton’s equaliser. Gareth Barry chipped a ball in from the left, and Lukaku got in front of centre-back Steve von Bergen to direct a downward header that bounced inside the post despite Mvogo getting a hand to it. Everton were in front four minutes later thanks to a fine move, although Steven Naismith looked offside as he collected Barkley’s return pass before playing the ball through the keeper’s legs for Coleman to turn in at the far post. The visitors were soon two goals clear as Bryan Oviedo’s back heel set up Barry to deliver a deflected cross that Lukaku touched in from three yards, as Young Boys appealed in vain again for offside. Either side of that goal, Everton could have conceded, with Howard making a double save from Hoarau and Nuzzolo before James McCarthy made a remarkable clearance with his knee to turn Sekou Sanogo’s goalbound shot on to the post. Lukaku broke away to complete his hat-trick shortly before the hour mark, coolly lofting the ball beyond Mvogo. Everton’s night was soured when Stones received the first red card of his career, dragging down Hoarau and conceding a penalty after being beaten for pace by the France striker. But Hoarau lifted his penalty well over the crossbar and it was the visitors who should have scored further goals, with Lukaku turning substitute Luke Garbutt’s cross wide from five yards, and then seeing a shot saved by Mvogo after being put through. Mario Balotelli scored a late penalty to give Liverpool a narrow lead over Besiktas following a tense Europa League first leg at Anfield. Liverpool were awarded the kick after Jordon Ibe was fouled by Ramon Motta. Balotelli and Jordan Henderson disputed who would actually take the penalty before the Italy striker grabbed the ball and confidently converted. Demba Ba went close for the Turkish side before the break when he broke clear but Simon Mignolet saved.